This page contains resources for Ambassadors, Partners, and Friends of Pitch Club. Below you’ll find logos, flyers, banners, videos, social media templates and images, descriptions, information links, and news releases. What: Pitch club is a mentoring and funding program hosted across the state of Michigan in Detroit, Ann Arbor, Lansing, and Grand Rapids. Pitch Club hosts ongoing monthly events that provide entrepreneurs the opportunity to learn from seasoned entrepreneurs and investors. The events are meant to educate, network, inspire and provide valuable experiences for being investable. 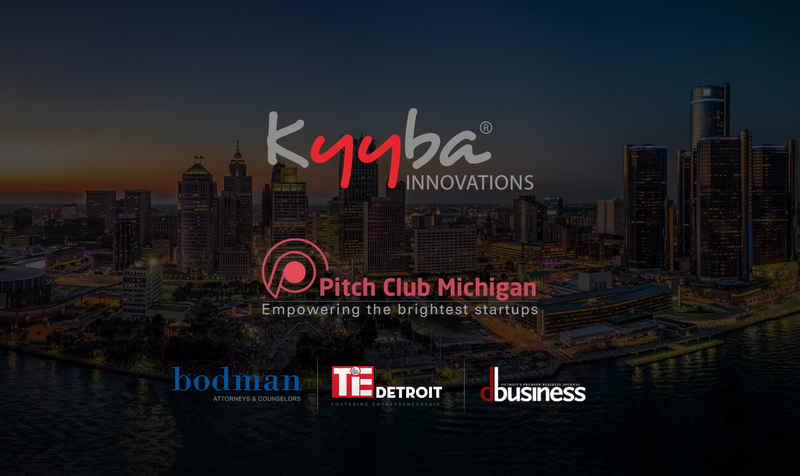 Pitch Club, a Kyyba Innovations initiative, is an ongoing series of monthly events hosted across the state of Michigan, and provides coaching to startups and entrepreneurs with the intention of preparing them to be investable. Attendees and startups will get to network and mingle with investors prior to the startup pitches. 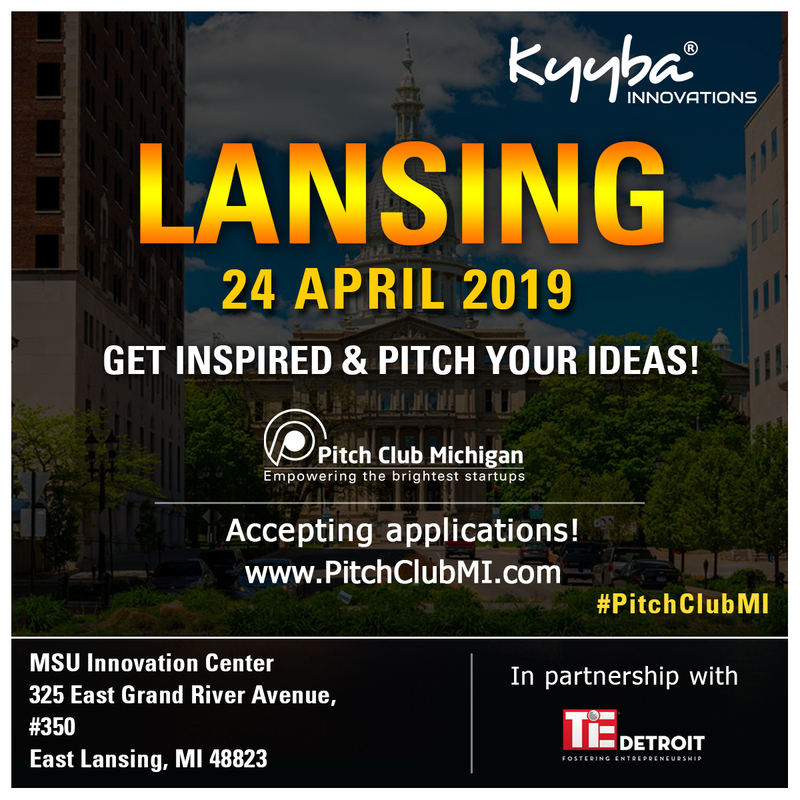 If you are a #startup and interested in presenting at this event, please complete an application at www.PitchClubMI.com . by Wednesday, April 03, 2019. 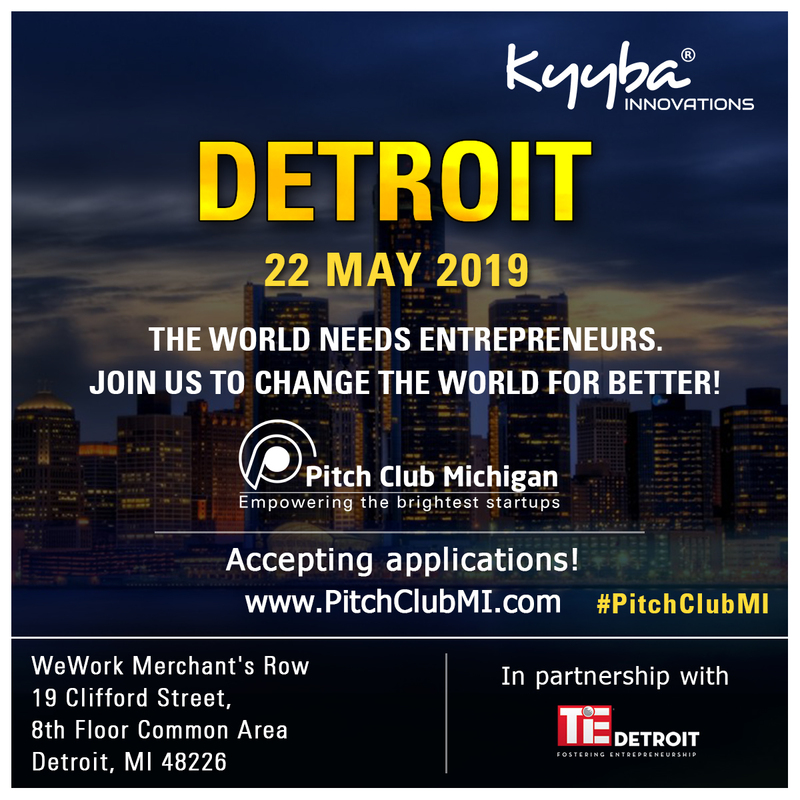 Pitch Club, a Kyyba Innovations initiative, is an ongoing series of monthly events hosted across the state of Michigan, and provides coaching to startups and entrepreneurs with the intention of preparing them to be investable. Attendees and startups will get to network and mingle with investors and business experts prior to the startup pitches. 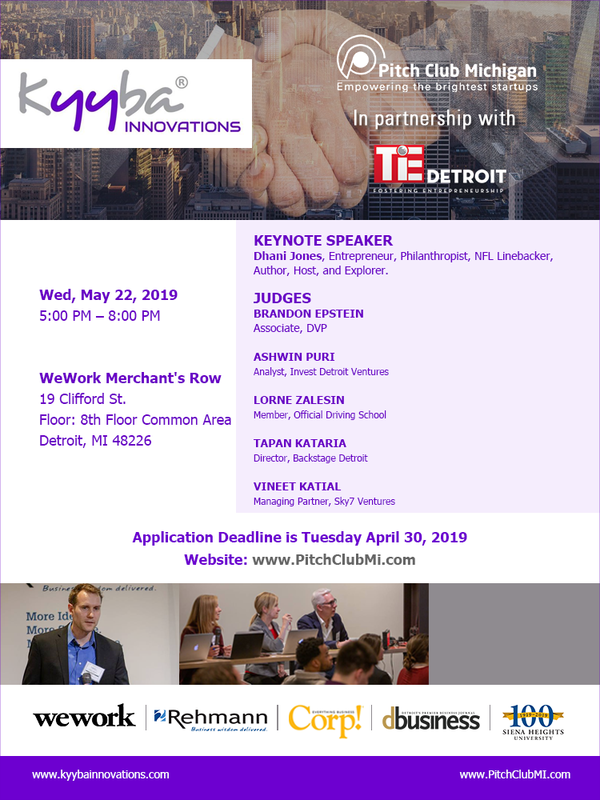 If you are a #startup and interested in presenting at this event, please complete an application at www.PitchClubMI.com by Tuesday, April 30, 2019.